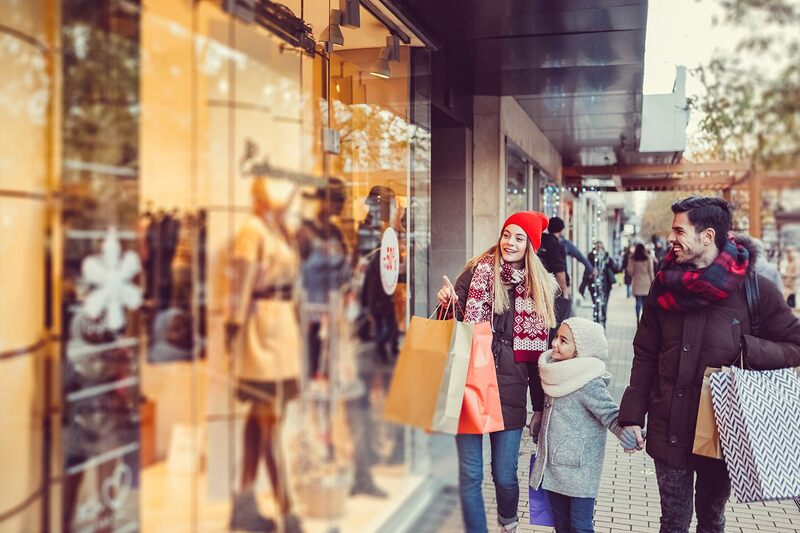 Christmas is over, the rush of the January sales is done, the weight of people’s spending over the festive period is settling in, and Blue Monday (January 15th in 2018) is on the horizon – shopping morale is at an all-time low. But don’t get down, there are still plenty ways to inspire customers through the door even on this slow spending month. Christmas is packed away and people are looking to the spring, so why not drum up some spring excitement even in January? Fresh colours, flavours and styles can all lend themselves to the “new year, new me” approach and win some purchases. Getting out of Christmas mood and adjusting to a new year, which may not get exciting again until Easter is a fairly joyless task, so celebrate the month of January and try to dispel the clichés that follow it. If you’re having a January sale, don’t treat it with any less importance than your regular stock and resist the common practise of having an unkempt sale rack in the corner. You should still showcase your sale items on your social media, still get them in your shop window. You could even make your sale a shop-wide event rather than being relegated to a certain area so that you can still effectively show off your brand even during this time when lots of shops let their presentation drop off. The Danish concept of ‘hygge’ – think cosy slippers and warm company – is bang on trend through the cold season, including beyond Christmas. It may not be December anymore, but you can still keep the festive spirit going. Your in-store event can include workshops on how to make your home a cosier, more welcoming place to be, how to decorate for the slowly-changing season, or just a chance to shop with a glass of something warm, sweet and definitely hygge. Why not have a preview of your new stock while still enjoying the last of the festive spirit with a free mince pie or two? After all, a free treat may be just the thing during this month when everyone is counting the pennies. Here’s one for coffee shops, bars and restaurants. People over-do it during the festive season, and this may cause more people to turn their noses up at the thought of yet more cake. So adapt to the resolutions of your customers and tweak your menu to include healthy alternatives. A peppermint hot chocolate laden with cream and sprinkles may not be the charming treat it was in December, but fresh tea – with a twist for the new year, try detoxing matcha - can be just as warm, comforting and waist-friendly. Pick the most show-stopping of your new products and get it up front and centre. Give it a dedicated photoshoot to decorate your social media, pride of place in your window, or run an introductory offer on it. This also ties in with the new year buzz, where starting afresh and kitting yourself out with new products is all part of greeting 2018 in style. People might have actively decided not to visit your shop simply to avoid spending money during this month when presents and turkeys are still being paid off, so a pop-up is a great way to bring your shop to them. Set up in a location more prominent than your current shop, or try getting right in the thick of it by snagging a location near a station or in a shopping centre near to shops that are guaranteed customers any day of the year like supermarkets, banks or chemists. A pop-up also feeds on the ‘buy it before it’s gone’ mentality that comes with January sales and may just land you some great sales as well as new customers for the new year.